Aquatica Park is a family recreation center located on a picturesque lake in Bolmin, not far from Kielce. The enclosed swimming area is under the constant supervision of qualified lifeguard personnel, while additional protection is provided by an extensive monitoring network located throughout the facility. Another attraction at Aquatica Park is the beach bar, cleverly located on the roof. Guests will also enjoy the restaurant where the chef has made it a point of honor to serve only fresh and tasty dishes. The resort includes two parks – a water park and a rope park, as well as a huge swimming pool with multiple water slides. A boat cruise is provided for slightly older guests. While Aquatica Park is the crown of Bolmina, the jewels in the crown are Polidomes Outdoor Event Tents! These pearls of modern engineering – hand crafted with the utmost creativity – stand out both against the picturesque backdrop of the lake and against the competition! 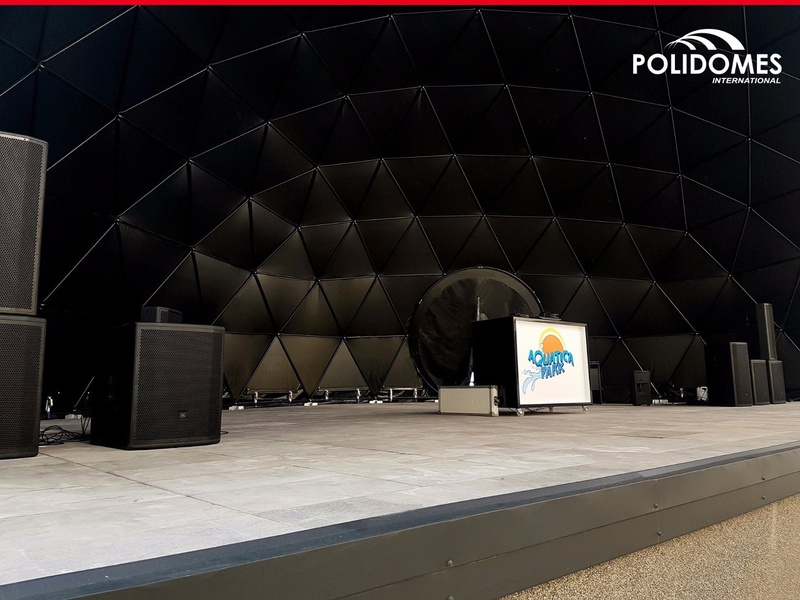 The most impressive dome tent on the Aquatica Park grounds is a Polidome 150 Open Half Sphere Tent, designed to serve as an amphitheater dome stage. This nylon structure – a veritable 21 st century Circus Maximus – has a premium floor as well as a dark cover designed to serve as a backdrop. Set in a picturesque forest, the geodetic dome serves as a Forest Dome Stage, where resident DJ’s mix the best holiday parties. Imagine this unique atmosphere, created by the twinkling holiday lights bouncing off the dark cover of the tent! 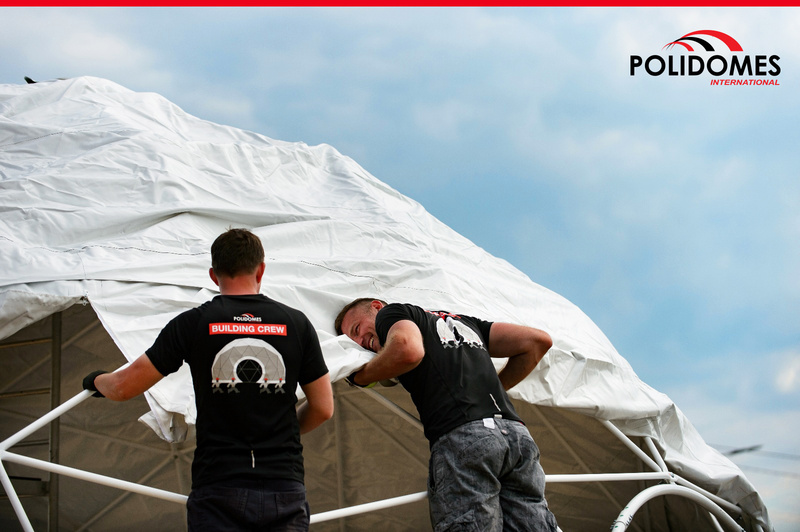 The next two event tents – Polidome 110’s – are great as sports arenas. The Aquaplay zone, where guests use virtual reality simulators such as a virtual shooting range, is located in one tent. 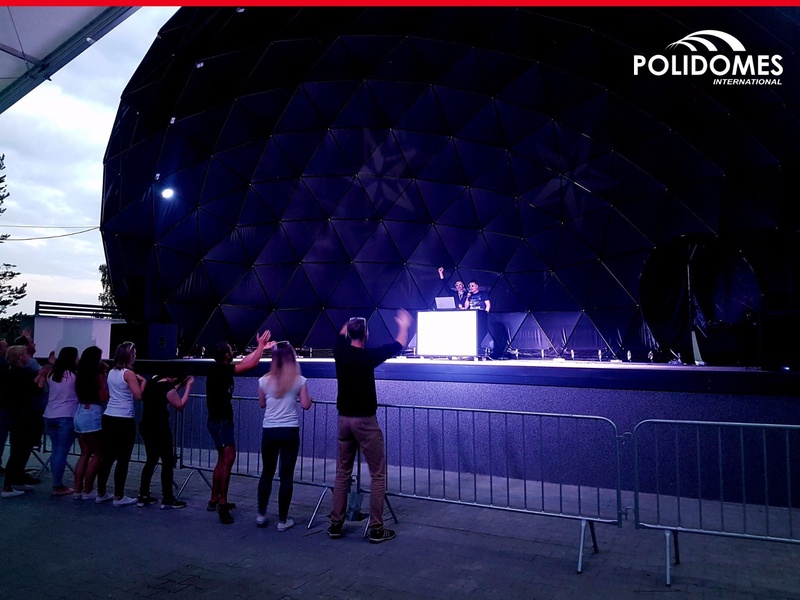 Such futuristic entertainment is new in Poland, so if you’d like to experience something unforgettable and feel like a pioneer, it’s worth stepping into this extraordinary world created under the geodesic dome. The other Polidome 110 spherical tent – called the “Aqua Kids Zone” – is for the youngest guests. Inside is the Monkey Grove, where visitors can play with kinetic sand, or participate in games with friendly characters. An important note – thanks to branding on the tent cover, no one will head to the wrong tent! 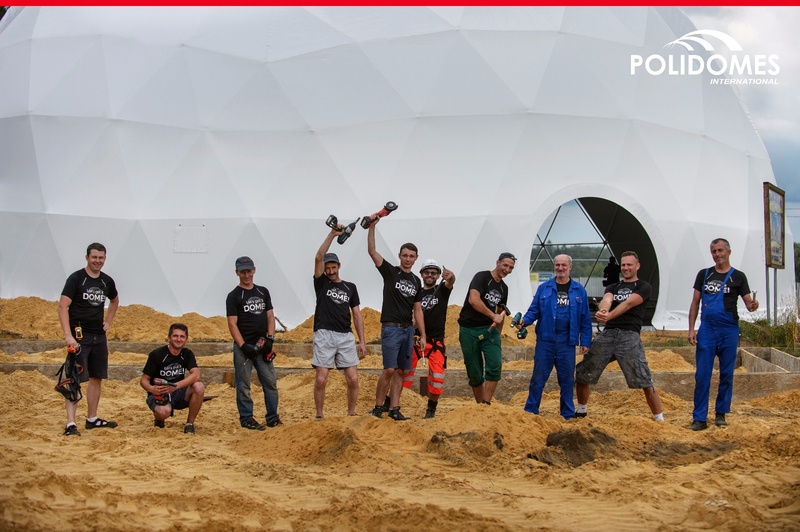 The biggest of all – Polidome 500 – will be used as conference, banquet and wedding venue. It has an area of 515 m2 and will accommodate up to 600 people! 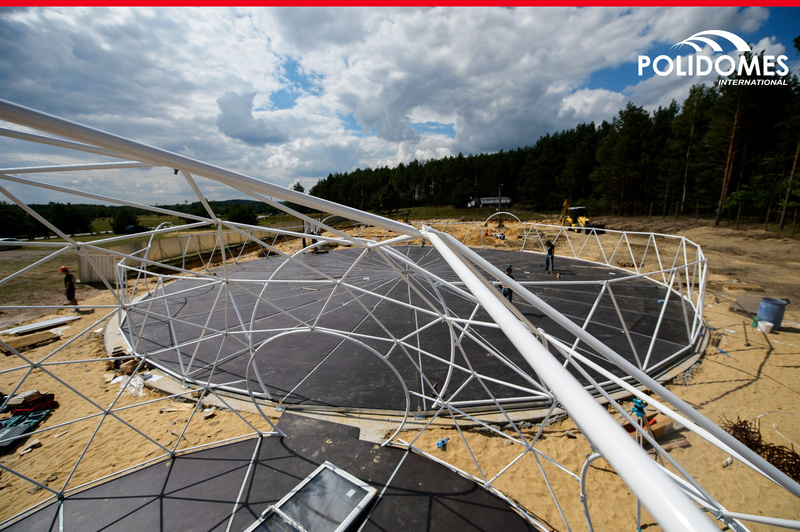 For additional convenience, the investor used Polidome 50 as a backend. Can the beauty of nature be improved? 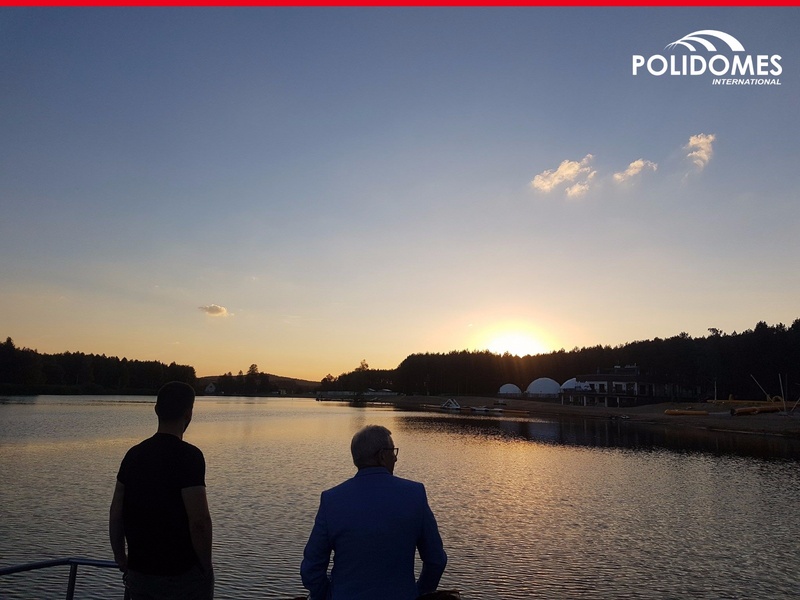 At Polidomes, we believe that it can certainly be complemented, and through courage in the pursuit of our goals, we prove time and time again – both to you and to ourselves – that that’s not just swagger on our part, it’s tangible reality! 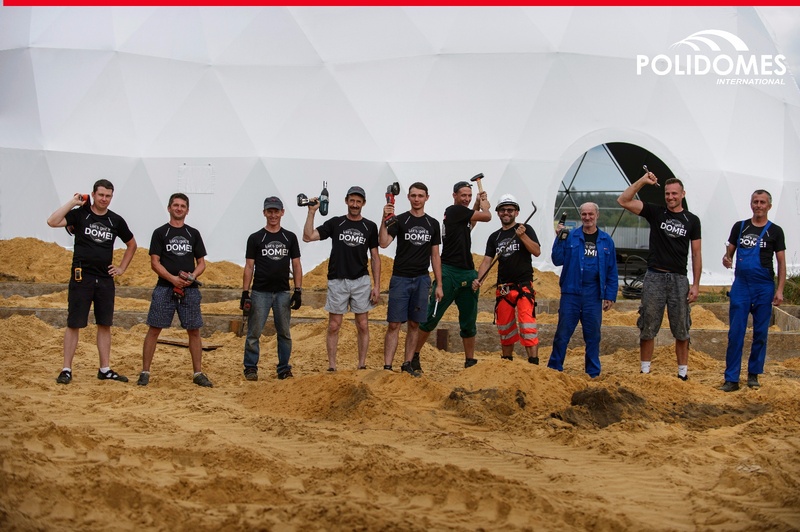 Our geodesic tents on Bolmin Lake were installed on sandy soil, which always causes problems for the assembly team. 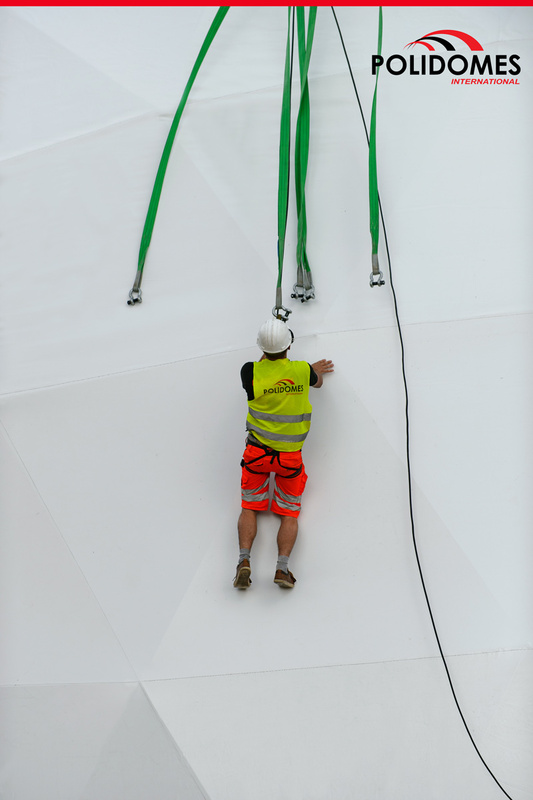 Nevertheless, our team of specialists came to the rescue, with help from our premium flooring, which gives the spherical tents stability and the necessary leveling. We consider the project in Bolmin to be extremely successful. 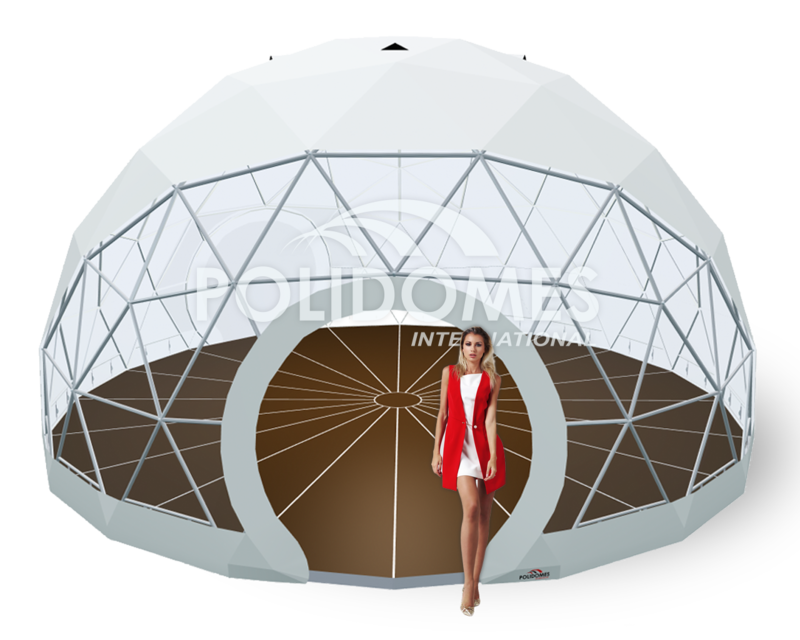 POLIDOMES dome tents are the ideal choice for those who want to expand and diversify their accommodation offering, but don’t know exactly how to go about it. We have the ideas (and the tools), and we can happily fulfill any order. 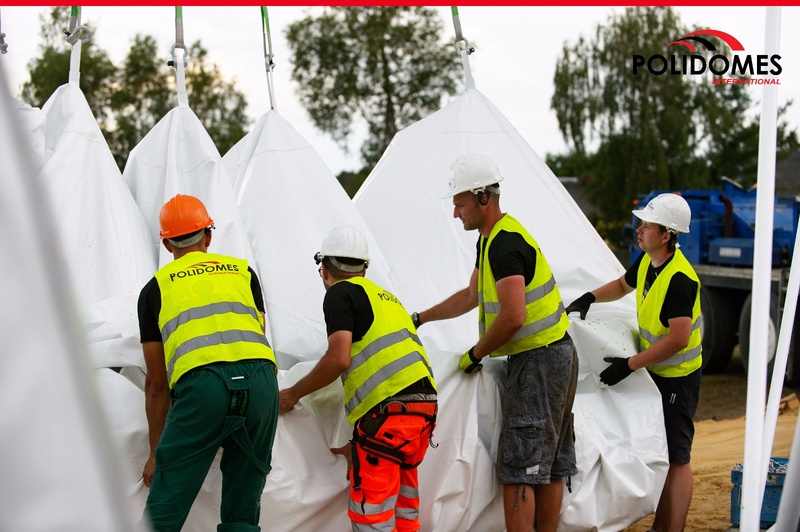 Assembling our spherical tents requires significantly less time than constructing a wooden or brick building – that’s not for nothing these days, when each passing moment is a tremendous asset. 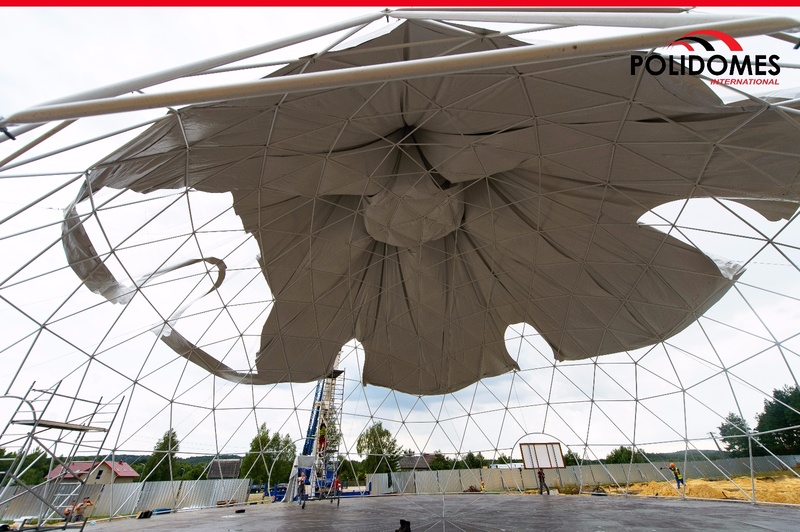 Polidomes outdoor event tents are durable and resistant to weather conditions. Thanks to state-of-the-art technological solutions, they retain their solidity regardless of the surface on which they are installed. 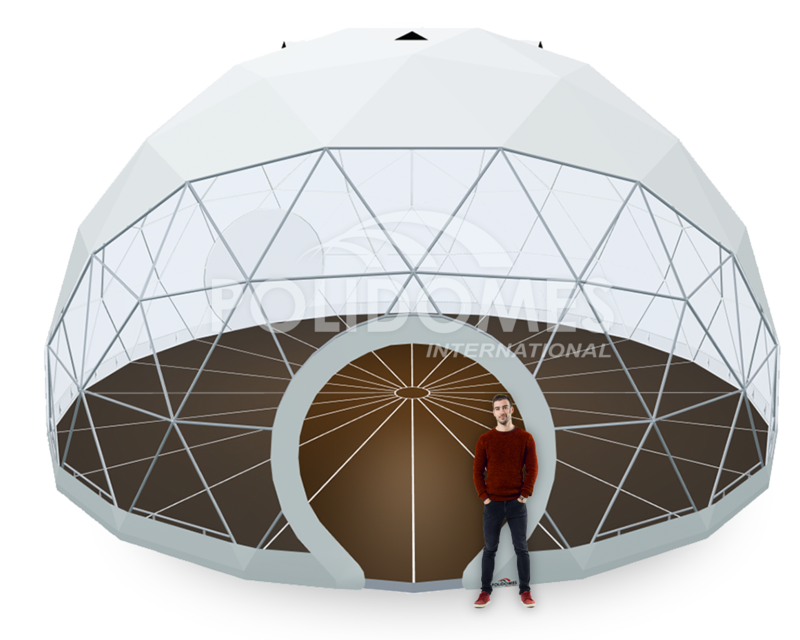 The possible applications of geodesic dome kits are so diverse that we’d have to write a whole separate article! It really all depends on your creativity – we’ll handle the rest. One thing is certain – our products will be the crown jewels of any attraction, just as we provided the crown jewels for Aquatica Park in Bolmin.